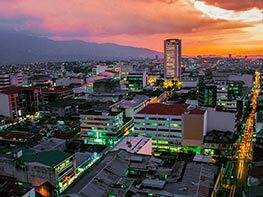 The capital of Costa Rica is a traditional Central American city with plenty of plazas, parks, museums and dining options – and the main gate to the country thanks to Juan Santamaria International Airport (SJO). 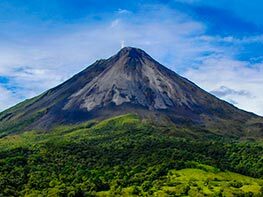 The magnificent Arenal Volcano National Park with its iconic cone shape is surrounded by relaxing hot springs pools and thrilling adventures. 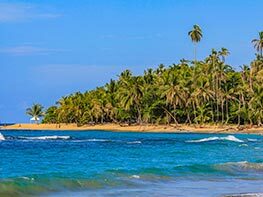 Within this province are hidden the perfect beaches for diving, surfing and fishing combined with amazing national parks and developed infrastructure – including Daniel Oduber International Airport (LIR). 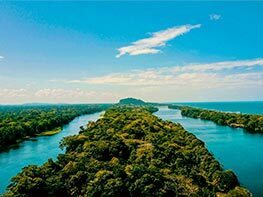 Corcovado National Park has been recognized as the most biologically intense place on Earth – sheltering the 2,5% of the world's biodiversity, it’s the perfect place to be in contact with nature. Surrounded by mountains and rivers, Turrialba Volcano outskirts offer all kind of thrilling adventure including the popular whitewater rafting in Pacuare River. 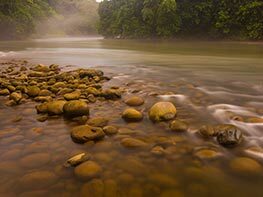 Surrounded by rivers and plantations, Sarapiqui is one of the most important eco-adventure destinations and a perfect place for nature lovers. 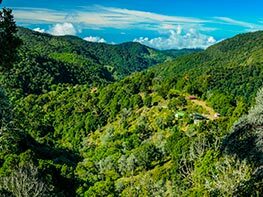 Immerse in this secluded cloud forest, apart from all the city noise, and enjoy a world-class birdwatching vacation looking for the resplendent quetzal. 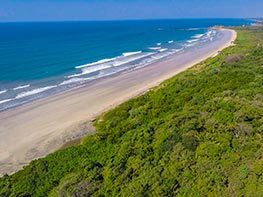 Whales and dolphins inhabit the uncrowded beaches of the Marino Ballena National Park, surrounded by pristine natural beauties and amazing wildlife encounters. 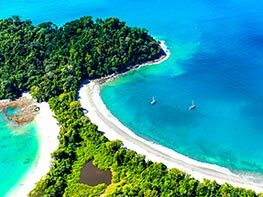 Costa Rica is a small country with a great variety of destinations to be visited and discovered. 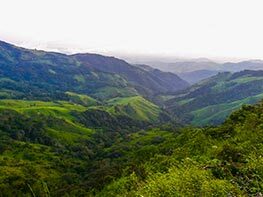 The size of the country does not mean that you will be seeing and visiting all the same places during your Costa Rica holidays; on the contrary, this biodiverse country has a lot of different and varied landscapes to offer to its visitors. It means that everyone will find here what is looking for during their vacation. Whether you are a forest and mountain lover, or a beach lover, you will surely find the ideal place for you to visit here. With no exceptions! 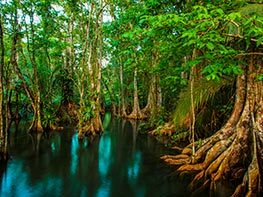 The greatness of the country’s biodiversity and the multiple landscapes are favored thanks to its location on the map and its tropical weather. Costa Rica is a blessed country with a privileged position that allows the possibility of experiencing different natural scenarios in the same day. Driving distances here are usually very short, which means that you can start your day at the city and finish it with a relaxing cocktail staring at the beach’s sunset. Each destination in Costa Rica has its own charm. All of them are worth visiting and also, each of them is an important little piece of this that we call paradise on Earth. 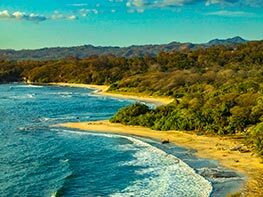 You can include different destinations in your customized Costa Rica vacation packages. You can create the most amazing combination of regions to explore, according to your different tastes and needs. Here, vacations are not only an opportunity to stay away from the hustle and bustle of the day by day, but also a way to enjoy and experience a close contact with adrenaline and adventure. 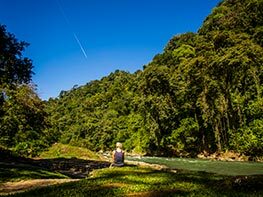 Different Costa Rica tours can be enjoyed along the country in each destination you visit. 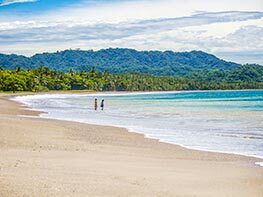 From mountainous adventures in the middle of the forest to sun, salt, and sea adventures in the beautiful Costa Rica beaches. 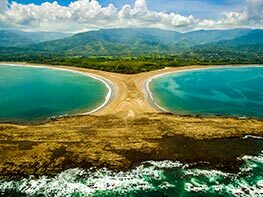 Culture, nature, wildlife, exquisite food, great climate and magnificent landscapes are just part of what you can expect to find during your Costa Rica travel. 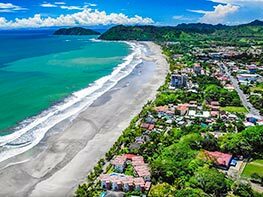 Your trip among the different Costa Rica top destinations will reveal some amazing places to stay, with lots of fun and adventure to enjoy with your family or friends, and with the most singular hotels to stay, from the coziest lodges to the greatest all-inclusive resorts. 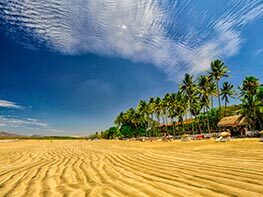 It is difficult to imagine that a small country can offer a wide variety of places to know, with notable differences among them, but also with the same charm that characterizes the Pura Vida way of life of the Costa Ricans.